February 4, 2018 was a historic date. Anyone at U.S. Bank Stadium in Minneapolis witnessed the first Super Bowl victory in Philadelphia Eagles history. Hopes are high once again this season as the roster has remained virtually unchanged. Head Coach Doug Pederson returns for his third season at the helm, looking to become the first back-to-back champion since 2005. Due to their 13-3 regular season record and subsequent championship last year, sports bettors looking for value will not find it in the Philadelphia Eagles betting odds. This is a talented and well coached team deserving of being a Super Bowl favorite. An old football adage states that when you have two quarterbacks, you have none. Quarterback competition can be extremely self-destructive. Carson Wentz is a former #2 overall pick and a talent that the Eagles believe can carry their franchise for years to come. He suffered a nasty knee injury in the middle of the 2017 season, however, which left the door wide open for the backup and former Eagles starter Nick Foles to excel. Foles stepped back into his starting role seamlessly and led his team through their deep playoff run. We have to assume that Doug Pederson would like Wentz to regain control of the team, but no one quite knows when Wentz will be fully healthy. 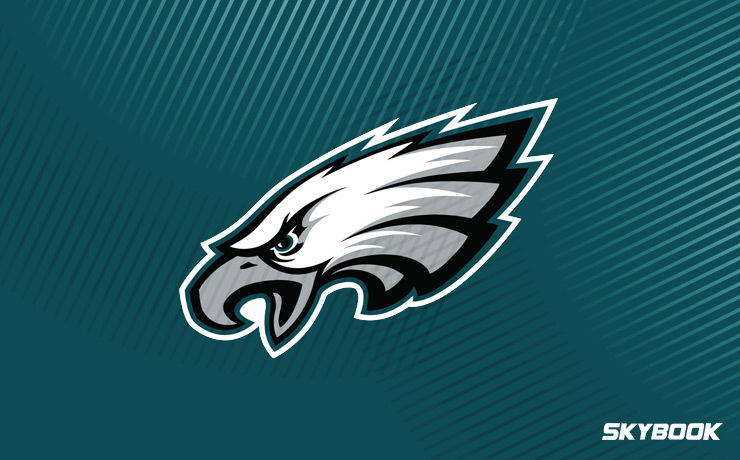 Complicating the situation is a statement from Pederson in early June in which he declared that Foles would be his starting quarterback if the season started today. Keep an eye on this position battle as it will greatly impact the Philadelphia Eagles betting odds. As if a defense that beat Tom Brady needs any help, the Eagles have added an extra force to their defensive line with the signing of three-time Pro Bowl defensive end Michael Bennett. The Eagles biggest loss over the offseason was running back LeGarrette Blount. While an impact player, the Eagles will not miss his presence due to the emergence of budding young star Jay Ajayi. Not losing any vital pieces is key as many teams are blown up by the front office following a championship and the inevitable raises requested by the key players. Being able to maintain their roster while even adding a player of Bennett’s caliber means the Eagles are primed to make yet another deep run this upcoming postseason. Whether they have Wentz or Foles under center, this Eagles team is stacked. They are loaded with star-level talent and would be disappointed by anything less than another trip to the Super Bowl. Here at SkyBook, we pride ourselves on being the best NFL sportsbook for all of your football betting needs. If you want to follow the Eagles on their quest to repeat, we will deliver you game analysis, match-ups, and injury reports all right here in one convenient location. The Philadelphia Eagles betting odds to win Super Bowl 53 are 8-1. We offer the best Eagles betting odds along with great bonuses that you will not find at any other sportsbook.